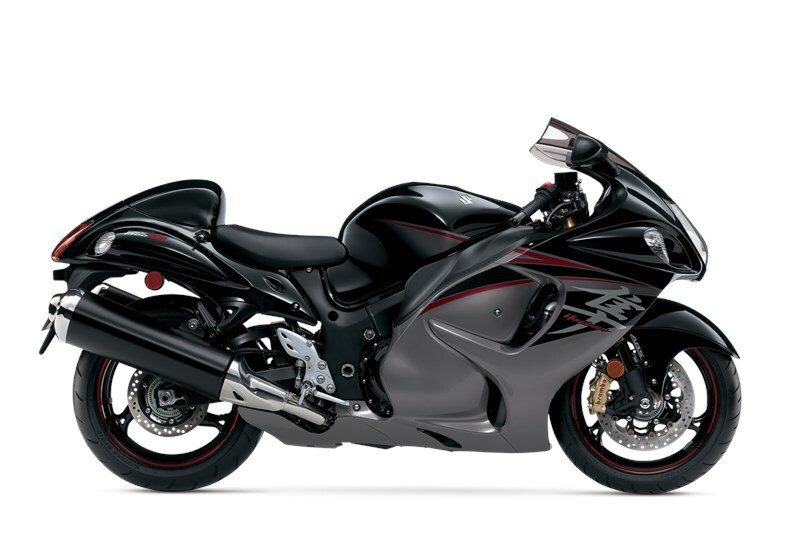 The Suzuki Hayabusa is quite simply the Ultimate Sportbike. Twist the throttle and it responds with awesome acceleration and crisp throttle response in every gear with an unbelievable top-end charge. Thanks to a lightweight and rigid twin-spar aluminum frame and state-of-the-art suspension, that performance is matched by equally impressive handling, providing exceptional control in tight corners, reassuring stability in sweeping turns and a smooth ride on the highway. 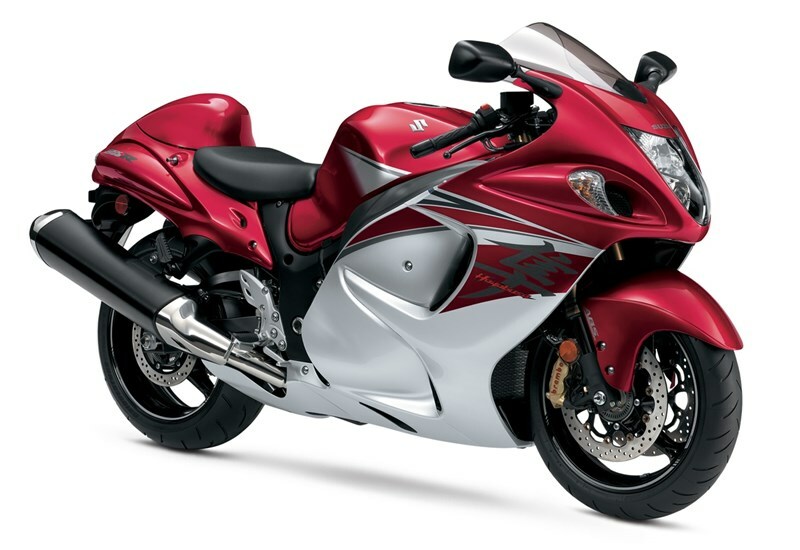 Powerful 1340cc in-line 4-cylinder fuel-injected, liquid-cooled DOHC engine built to deliver a broad wave of torque for effortless acceleration. Suzuki’s advanced fuel-injection system with tapered, 44mm double-barrel Suzuki Dual Throttle Valve (SDTV) induction improves combustion eﬃciency and smooth’s throttle response. Dual 310mm (12.2 inch) floating-brake rotors are mated with radial-mount Brembo monobloc front brake calipers. The calipers are lighter and more rigid than conventional bolt-together calipers, deliver better feedback, and are ﬁtted with larger pistons that increase initial bite for greater controllability. The hollow-type mounting bolts further reduce weight. Solo 260mm (10.2 inch) rotor is grabbed by a single-piston rear brake caliper. Radical aerodynamic styling and smooth bodywork provides the Hayabusa its distinctive look, protects the rider from the wind, and improves fuel eﬃciency. Four analog gauges including step-motor-driven tachometer and speedometer. Round LCD panel includes clock, gear position indicator, S-DMS map indicator, odometer and dual trip meters. Engine-rpm indicator, programmable to blink or stay on between 4,000 and 11,500 rpm.